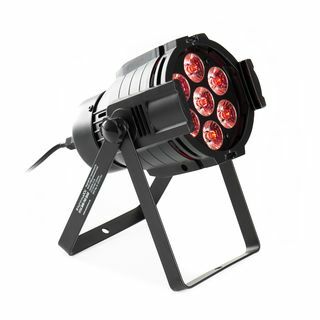 The lightmaXX Platinum LED Mini PAR Tri-LED Black features a digital display and seven 3W RGB LEDs. This new Platinum Series LED PAR floodlight features the new Tri-LED acts as a 3-in-1 system that leaves nothing to be desired. The new lens system pre-mixes the RGB colours before the lens, producing ready mixed colours at the light output. 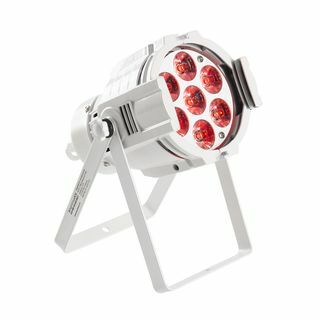 Thanks to the 3W Tri-LEDs this spotlight delivers huge levels of brightness. 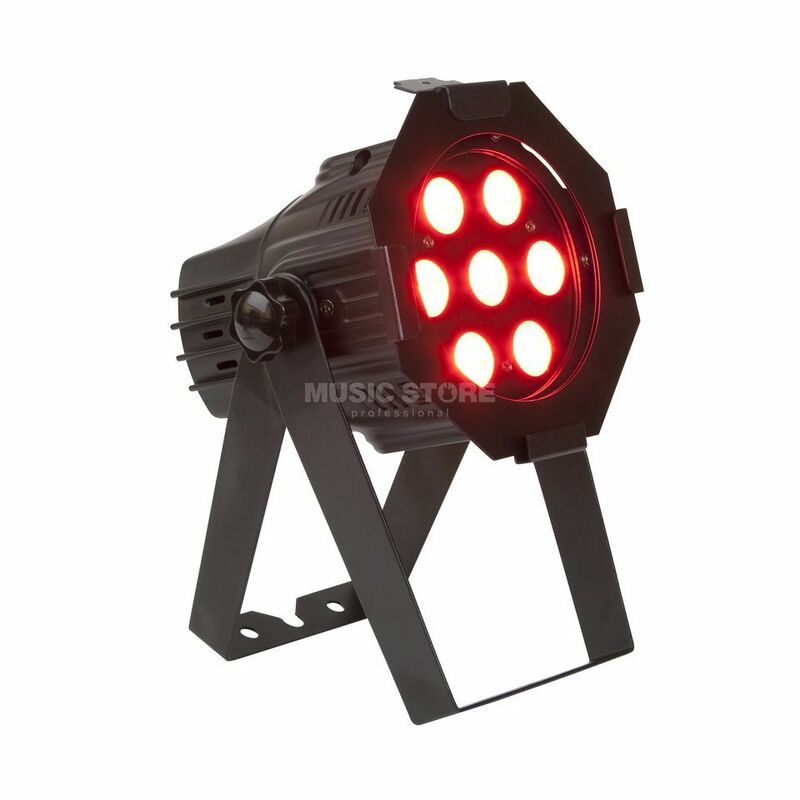 Equipped with two brackets, this spotlight can also be used as a floor spot. The compact size makes discrete use possible at all events. What can I say about this product. The ideal would be to control it through DMX control, but since this is not possible - proved enough and without control. Purchased two spotlight that shines with mini-scene. Color rich, responsive to sound great. Management is quite simple, light and sometimes even more than necessary (and its only two guns to a distance of 2-3m artist.) Since I work mostly alone (Entertainer), do not give rise than transportation or installation. The ideal would be to have four.